Ready Made Frames – Now @ REX! Rex Art is now proud to offer all our customers an incredible selection of ready made frames. We have partnered with the most well respected frame manufacturer in the US to make frames for our customers. As you can imagine after over 65 years in the Art and Framing business our family knows a well made frame when we see it. We think you will be absolutely as thrilled with the quality and value as much as we are. Plus, we love supporting US companies that manufacture here at home, and all our frames are made right here in the US, just for you, based on your specifications. Our frames are made to your specifications on demand exclusively for you in approximately three working days, and come with a 100% satisfaction guarantee. We offer the most popular ready-made sizes sold with or without glass. If you have a custom size in mind we would also be happy to make it for you. Just give us a call at 800-REX-ART2 (739-2782) or e-mail us with your request and we will give you a quote. When you purchase our ready-made frames you can feel good about supporting a family business, and quality US made products. Ready Made Frames – Now Available @ REX! Rex Art was a proud sponsor of the Just My Height Art Show inaugural show, “The Writing On The Wall”. Just My Height Art Shows brings professional-quality, fine art to young children’s eye level by displaying it at just 36 inches high (or lower). “The Writing on the Wall,” where all of the artwork is centered around the theme of letters and numbers, and to show your support for literacy in Miami-Dade County. Proceeds from the sale of artwork in the show and the raffle tickets will be donated to the Friends of the Miami-Dade Public Library, in support of Miami-Dade Public Library’s Project L.E.A.D. (Literacy for Every Adult in Dade). The show will run at Pyramid Studios, 8890 SW 129th Terrace, Miami, FL, 33176, until Friday, February 27, 2015. There will be a closing party Friday, February 27, 2015 6 p.m. to 10 p.m. If you get the chance, go out and support this great show! I’ve been buying art supplies for 30 years. Canvasses, canvas pads, tracing paper, acrylics, oils, mediums, brushes, pencils, pastels, graphite paper, smudge sticks, big easels, small easels, table easels, outdoor easels, the list goes on and on. I can’t even imagine how much money I have spent on my passion for painting. And, up until now, I’d never touched a canvas with a brush. Or with anything else. For 30 years I have been buying and storing and then giving away, or otherwise disposing of, my art supplies without a single drawing or painting to show for it. One time I managed to get a sketch onto a canvas but was so dissatisfied with it that I erased it. I’m not normally a fearful person. I regularly do things that are outside of my comfort zone, that stretch me beyond what I think I am truly capable of both physically and emotionally. Except painting. And yet, I keep buying art supplies. In my mind, I have all sorts of reasons why I haven’t been able to paint. But the real reason is because I am afraid. Not that other people would see what I painted and be unimpressed. I am afraid that, if I actually put brush to canvas, I will know, finally, whether or not I can paint. So much better to not have tried, to be ready to try, to have the option to try, to not know. And then I found a few painting apps and a real hold-in-your-hand-with-a-brush-end “paintbrush” for my iPad. In the digital world I could “paint” right on top of a photo or a drawing. The iPad felt like sort of like a canvas. I could hold it in my lap. And I could “undo” my mistakes. It was nearly free, no wasted oils or embarrassing failed canvasses. No struggling to get a sketch onto the canvas. I started painting on my iPad and it was amazing and fabulous. I experimented and played, and erased and deleted and started again. And again, and again. And every now and then, something came out pretty well. SO exciting. And there was no pressure, it was just playing. But I still didn’t paint. Last spring I placed a big order at Rex Art for more art supplies. Again. Gorgeous, silky oils in beautiful little wooden boxes, luscious hand rolled pastels and some new paintbrushes (you can never have too many). I arranged them in a stately old bookcase, with the brushes artfully placed in a vintage pitcher. They looked fabulous. But I still didn’t paint. Art supplies arranged on shelf. So pretty & pristine. Have you ever jumped into a freezing cold lake or off of a high dive or cliff? You stand there, looking down, knowing you can do it, watching your 10 year old niece do it over and over, and yet every fiber of your being is focused on preventing you from jumping. So, for just a second, the blink of an eye, you shut down your brain, create a blank space, stop thinking, grab hold of a bit of faith, and step into the abyss. And when you hit the water you sink and it’s cold and you’re not sure if you can get back to the surface in time to breathe and then you do. And the water is viciously cold, but it’s a different kind of cold than you thought, bracing, exhilarating, survivable. And you did it. A few weeks ago, I got a postcard from our local art center. I went to the website and I stood there on the cliff, staring down into the icy water as I had so very many times before. And I stepped off. I signed up for “Dare to Try: A Painting Workshop for the Complete Novice”. That was Monday, September 16th. The class started on Tuesday, the 17th. Which really wasn’t a problem because, hey, I already had a crap load of art supplies, beautifully arranged in my bookcase. Everyone’s happy with a brush in her hand! 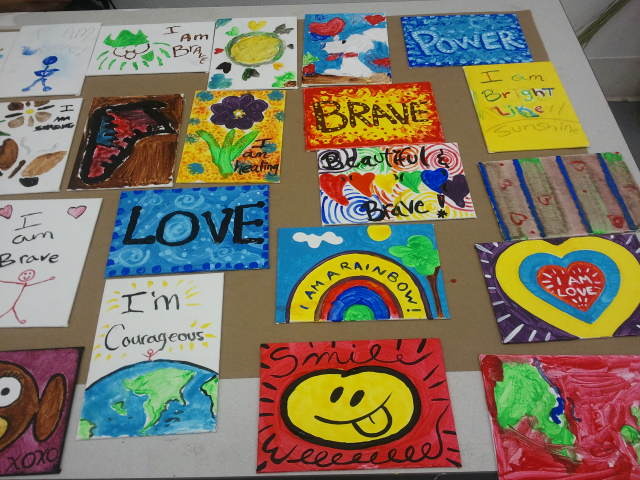 Rex Art was proud to supply the Spoken Soul Festival with paints and materials on March 22 for their annual SWAN Community Program. 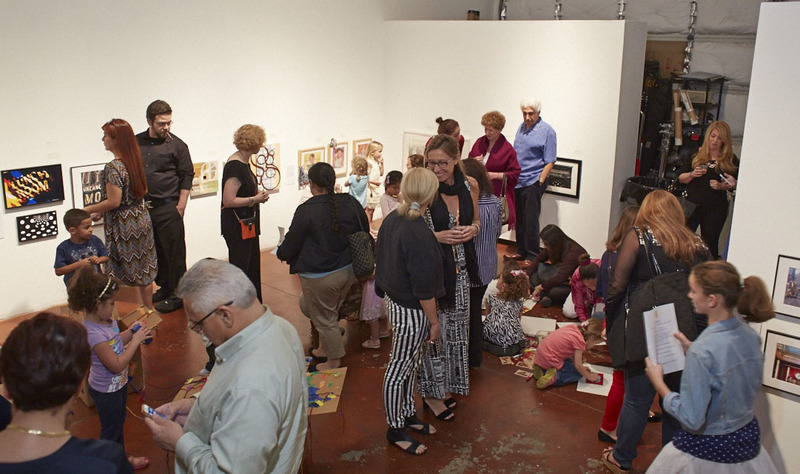 Everyone was completely absorbed in their artwork. The SWAN Community Program gives the production team, sponsors and featured artists of the Spoken Soul Festival, a 3 day festival celebrating and supporting women artists, an opportunity to give back to the community by demonstrating to young girls and women empowerment through the arts. 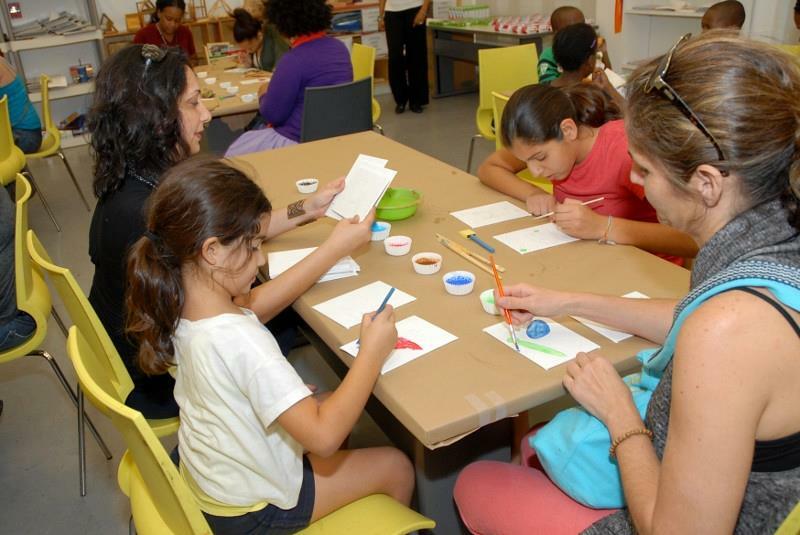 This year’s beneficiary was the Little Haiti Cultural Center’s Arts Afterschool program. 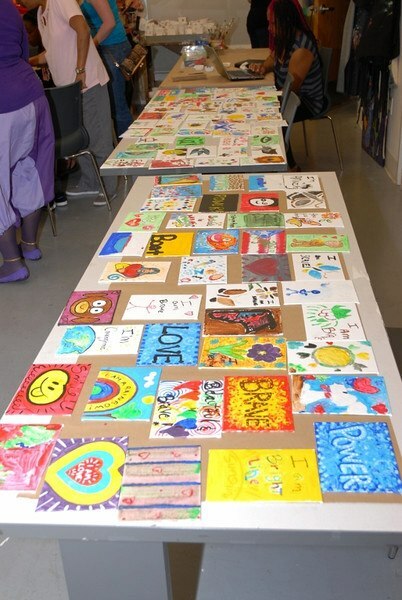 The young artists (k-8), and participating SWAN artists created inspiring and encouraging poetry art to be donated to children affected by cancer throughout the South Florida’s community. Little Haiti Cultural Center’s mission is to provide a space that brings together people and ideas to promote, showcase and support Afro-Caribbean culture in South Florida. Fun was had by all and creativity was flowing. Everyone was thrilled to be creating beautiful pieces of art to bring a smile to a sick child, and hopefully contribute to that child’s health and wellness. 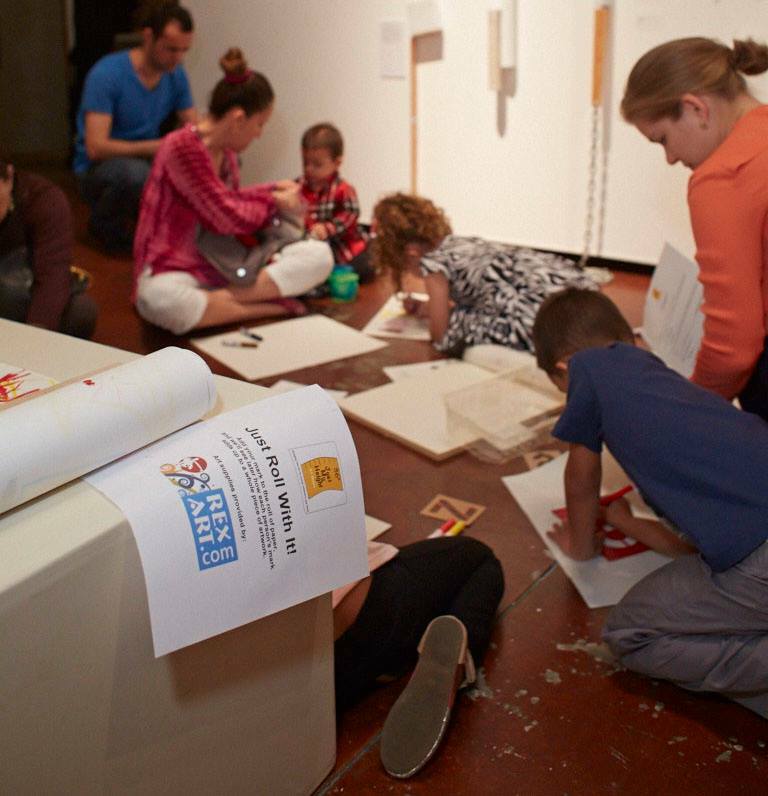 Several SWAN artists volunteered before the event to sketch drawings on 5″ x 8″ canvas boards – the perfect size for a child to carry around for inspiration. Then the children and artists painted them in vibrant, cheery colors. Here are the results! Here are all the paintings. There was a lot of art going on that day! Some great paintings going to children affected with cancer. Hope they bring some cheer! Another fantastic Rex Artist, Alex Vidales, wanted to share how he uses our creative products. It makes our day when we get to see how our products are used, and our customer’s beautiful artwork. 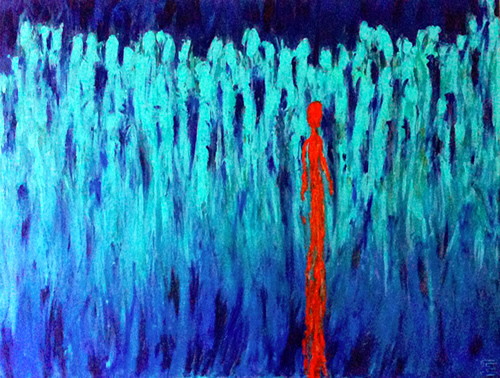 You can see Alex’s most recent artwork by visiting his website. Alex, great work! Please keep us up to date with your newest pieces! We love it when our customers share their creative visions with us, and we get to see how they use the products we sell. 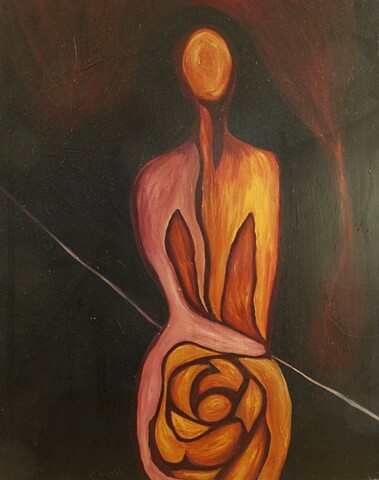 Check out Rex Art customer Elena Kariyannis, aka “Erocksny” site, and her wonderful artwork! Here is an interesting customer inquiry we received recently…. I came across your website and it seems like you might know what I need. I am a teacher and one of my students was the class valedictorian this year. I am making her a “book plaque“. It is basically a leather bound book, opened to the center and her speech is pasted on the two center pages. The rest of the book has been glued together with the corners bent and it has been painted with tea and coffee to make it look really old. I would now like to paint the entire book with something to seal it so it becomes “hard“ without damaging the book. Do you know what I would need to do that. Thank you for your help. Thank you for your inquiry. Great project, and it sounds very interesting. 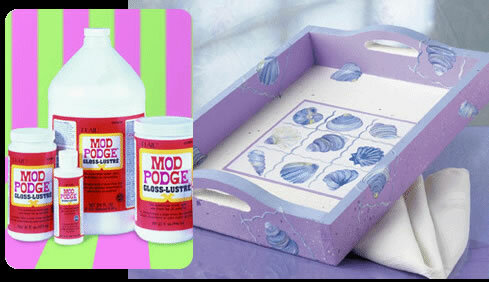 Also, Mod Podge is designed to be used in a single coat or can be coated several times to create a thicker or harder surface. 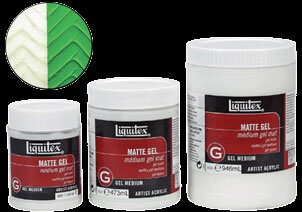 However, another alternative might be to use a Gel Medium like the following in either a matte or gloss sheen. The gel medium is thicker from the get go and would result in a thicker or harder surface once applied. Lastly, since your application is a bit experimental with the use of coffee and tea you should test the application first before proceeding to do the book as I am sure you do not wish to ruin all the work you have done so far. We hope this information helps! Please do share a picture with us once you have finished your project! Face Off, Syfy’s critically acclaimed sfx competition show, is bringing much deserved attention to the special effects community and the amazing work performed by these very talented individuals. We are, once again, looking for sfx artists to be a part of the show. Please help us spread the word. The application and additional casting info is below. We are accepting video submissions until Wednesday, February 22nd. I would like to thank you in advance for getting this information to the next potential contestant for the show. If you are a sfx artists, I would like to take this opportunity to personally invite you to be a contestant on Face Off. As you may know, FO is designed for sfx artists of ALL skill levels. From the seasoned veteran to the green newbie, we want everyone to apply for the show. This is your opportunity to be a part of an amazing show designed especially for you. You can download the application and see previous episode of season 2 on the link below. February 22, 2012 at 6:00pm ET – 3:00pm PST to be considered. Remember, the earlier the better. Here is some cool news we just received, but hurry the deadline is quickly approaching! Happy T-Day everybody. The formal President of Marvel Comics is teaming up with online community MASScanvas, encouraging fans to design and illustrate “HERO-themed” T-shirts. Anyone can enter! The prize is a total of $5000 and a portion of the sale of winning T-shirts will benefit the John Wayne Cancer Institute. Through Sunday, November 27th, anybody can submit designs for the ‘WORLD OF HEROES’ challenge at masscanvas.com. ALL entries will be featured on masscanvas.com, the only requirement being they reflect the theme of “WORLD OF HEROES.” Entrants and fans can comment on designs throughout the challenge and VOTE for the top 20 designs. 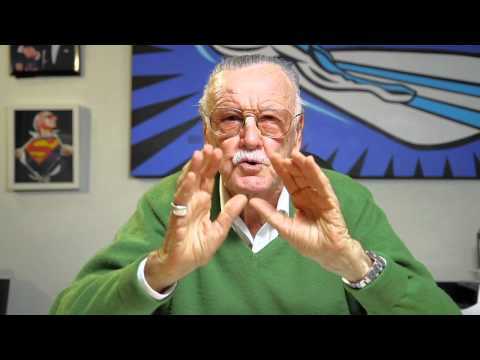 On December 8, Stan Lee will choose 5 winning tees (each receiving a $1,000 cash prize), from the top 20, that he feels best represent the theme. The 5 winning tees will be custom printed in limited quantity, individually hand-numbered, and sold in support of the charitable cause. 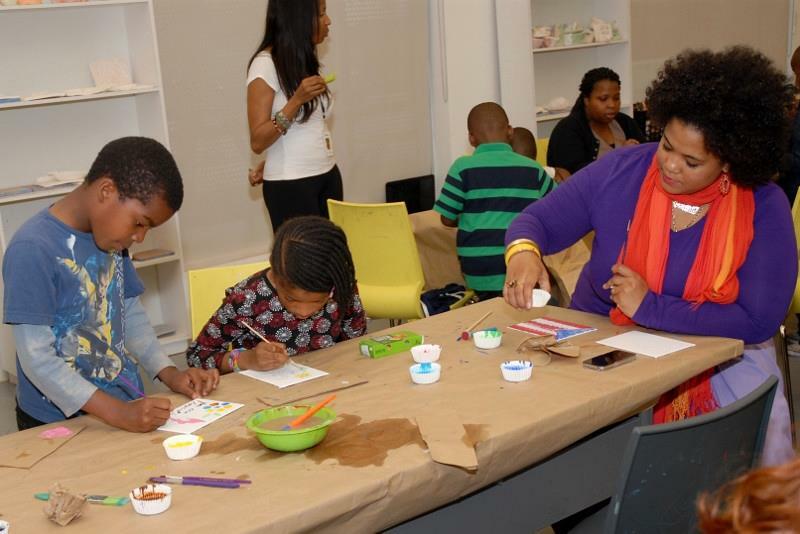 We are currently accepting resumes for artists in visual, literary, performing and media arts for participation in 4 exciting Saturday Art workshops sponsored by UBS. 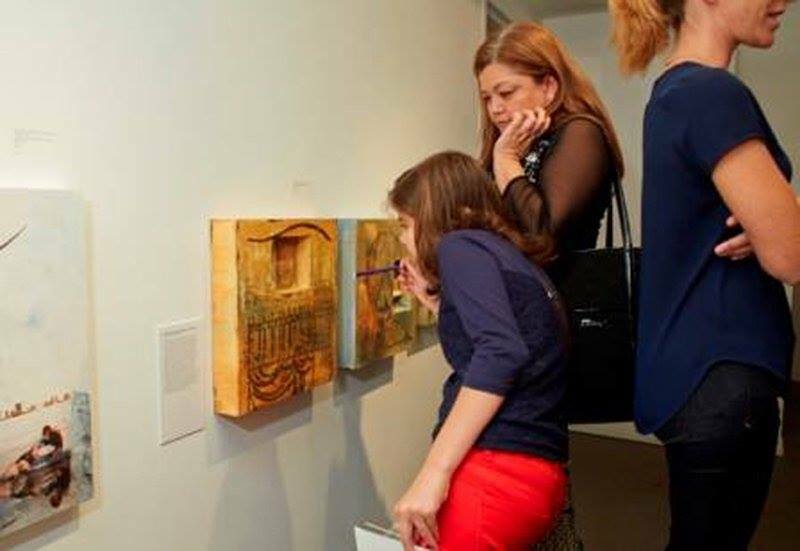 Mentors will be instrumental in each child’s artistic development as they work together to increase their awareness and understanding of art, the processes of creativity, and community involvement. Art Showcase opportunity surrounding UBS Miami Art Basel Events in December. Applicants must have: an arts centered education and training, experience with exhibitions and performances, experience working with Youth-at Risk, and excellent communication skills. Social Butterfly Foundation, Inc. is a 501(c)(3) Non-Profit Organization established to enrich the lives of children in foster care with a Cultural Arts youth mentoring. 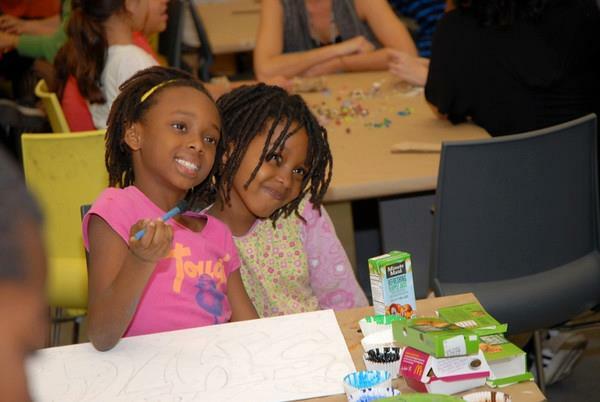 Our 5 Step Enrichment Program fosters relationships that create stability and caring relationships with mentees using cultural arts appreciation and social skills development as our platform. These are areas that we feel are instrumental to each child’s success and social metamorphosis by building Self development, teaching Social Etiquette, and infusing cultural arts awareness. Our partnerships with our cultural arts community provides a vehicle to allow mentees to experience and appreciate our wonderful world of cultural arts, allow them to use the Arts as a canvas for expression, become enriched and have the confidence of belonging, interacting, and demonstrating Social Skills developed within our program and most important addressing the fundamental need for close and caring relationships.